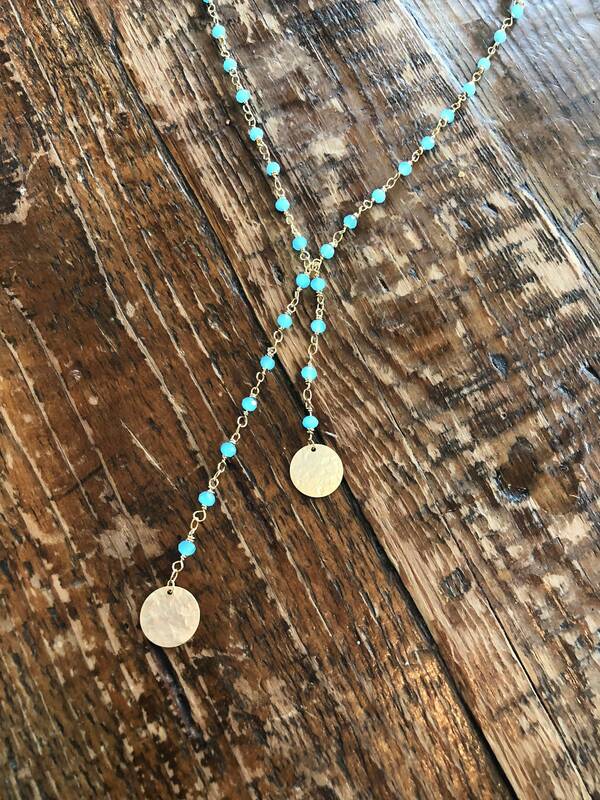 Turquoise/Black Rosary Bead Necklace. Beaded Necklace. Hammered Circles. So different and fabulous. You won't find anything like it anywhere else! We are so in love with this new piece. 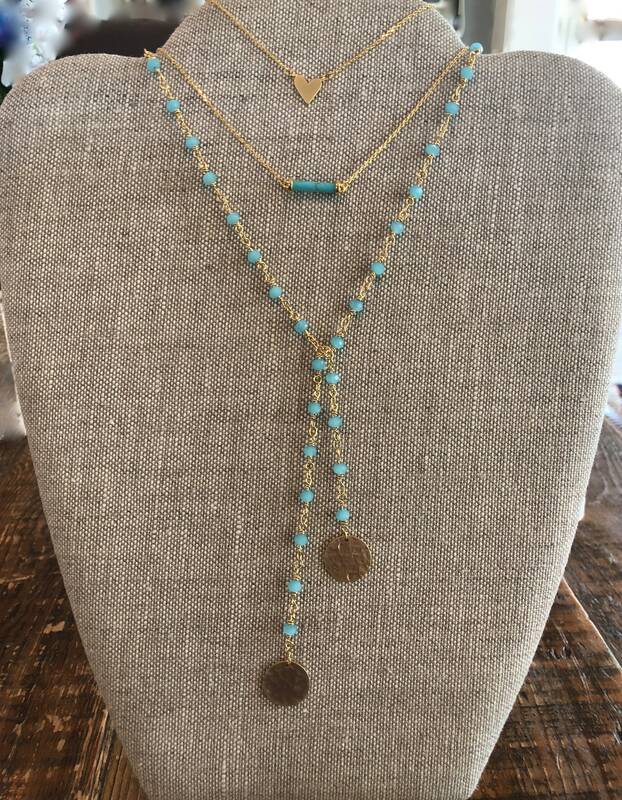 Turquoise rosary beaded necklace with hammered discs that lay at an ever so slightly different length. 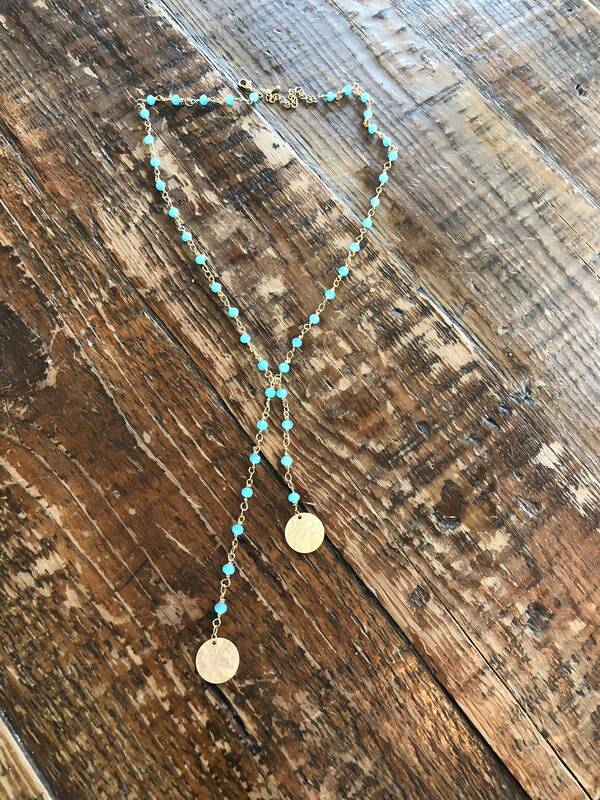 - 1 Turquoise or Black rosary beaded necklace. Chain measures 17.5" and comes with a 2" extender. I'm happy to make shorter or longer. Simply leave me a note via checkout.